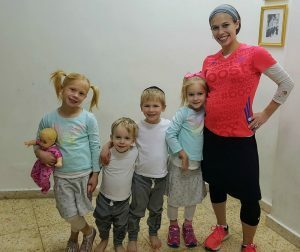 This morning I heard the surprising news that the winner of last Friday’s Jerusalem marathon–for Israeli women– was a religious mother of 5 kids. So here it is, the true yet unbelievable story behind the JewishMOM buzz. Beatie (what a perfect name for a champion runner!) 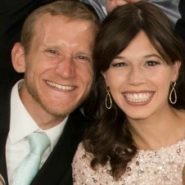 Deutsch, originally from New York, is a 28-year-mother of 5 kids who made aliya to Israel 7 years ago. “As a child I always love running and doing sports. But a little over two years ago I wasn’t exercising at all. I was busy at home with my kids. I had had 4 children in 6 years. “Every year my family has a short race at the beach, and I would always win. But that year, even my younger sister beat me, and I understood that I was really out of shape and that I had to start exercising. “You need to balance everything. I work from home, so I have some flexibility. I would go running very early in the morning or late at night. I mostly train when my kids are sleeping. I would sneak in a run wherever I could. After my first marathon, I was addicted! “We know Jerusalem is the holiest city on earth, and I truly felt God’s loving hand guiding me along the course. My goal for this course was 3:16 and I would have been happy with anything under 3:20….but I surpassed my expectations and crossed the finish line 7 minutes earlier. I can only attribute this to the promise Hashem gives us “ואשא אתכם על כנפי נשרים” (I will lift you up on eagles’ wings). “I knew I had trained well and I wasn’t asking for a miracle. But I was putting my faith in God. I spent a lot of the beautiful –and crazy windy, super hilly– course thinking of all the psalms and blessings we say in which we acknowledge that God is the source of our strength, “הנותן ליעף כח” (Gives strength to the weary). My Emunah and trust in God is what got me through and powered me to the finish line. “My journey to this marathon has not always been easy. There were ups and downs…it’s certainly a juggling act with 5 little children (Baruch Hashem) and a full time job. Discovering my anemia was the lowest point and I almost felt like giving up then. “But through it all, I challenged myself to never give up, stay focused on my goal [to win and raise money for an important charity], and Davened for Siyata D’shmaya (heavenly assistance). I always struggle with these stories because they make me feel like my life is so inefficient in comparison. Like “no way” I’d have the stamina or the time to work and care for 5 young kids and also train for a marathon well enough to win. But it’s not about competition and it’s nice to see that you can have a growing young family but also achieve other worthy goals, whatever these might be (and getting into shape and fundraising are great goals!). To tell you the truth, I wasn’t sure whether to post this story. As a general policy, JewishMOM.com doesn’t do posts about superwomen. Not that I have anything against superwomen, but their stories can be disempowering for the rest of us mortal moms–who are heroes for even managing the minimum (and still daunting) requirements for caring well for Jewish children in a Jewish home. But, as Beatie shows us, you can take a negative reality, and work on it little by little, day by day, and CHANGE. I believe with all my heart that any mother who makes even a microscopic upgrade to her life is a true champion! Totally true! Also she even says it herself that she wasn’t expecting to win, she did it for other reason and it just happened. All kinds of strange things happen when you just start changing little by little. Really inspiring! Thanks for sharing. I love the imagery of the tehillim carrying her on the race….So powerful for us to all use in life….Blessings!! I was also thinking about what you said about modesty. But then again taking care of your body is also a mitzvah and something that can be an issue especially in the frum world (eg chareidim in Israel have higher obesity rates and all the diseases that go with that, reduced life expectancy etc). She is modelling an alternative to that. Exercise is really important for health and well-being and she is dressed modestly doing it. I will never understand why a woman can’t run in public. Ladylike? Maybe not. Immodest? I never did get that. Thank you CJW for elaborating on your thoughts in the comments. To those who feel disempowered, keep in mind she has a natural love of running and experienced success in it previously. So maybe this is about going back to what we love, finding some time for it.